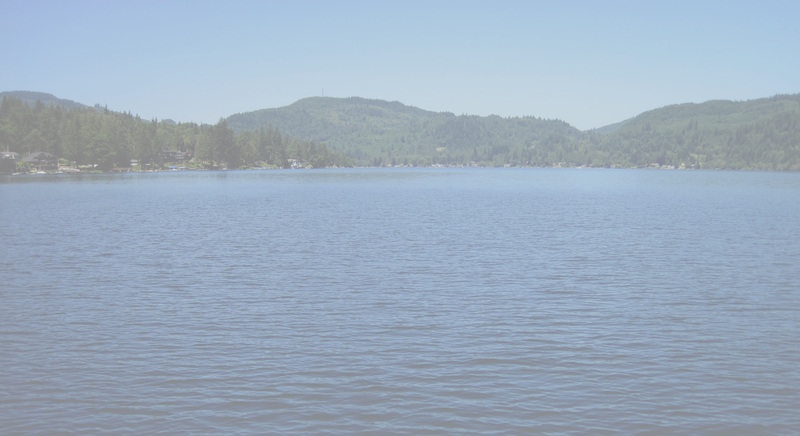 Paradise Cove Resorts offers all your fishing, hunting, relaxing and vacationing needs. Rates: $50.00 a night or $350.00 a week per person! See rates page for more information. 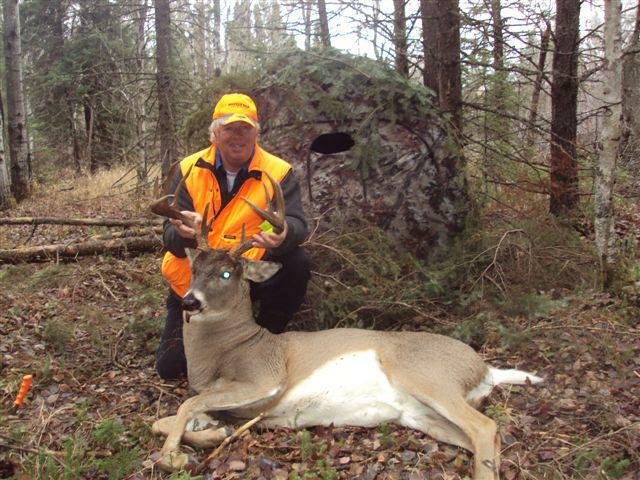 Minaki’s woods offer hunters the best Whitetail deer hunting around. Trophy quality is what you can expect when hunting around Paradise Cove. 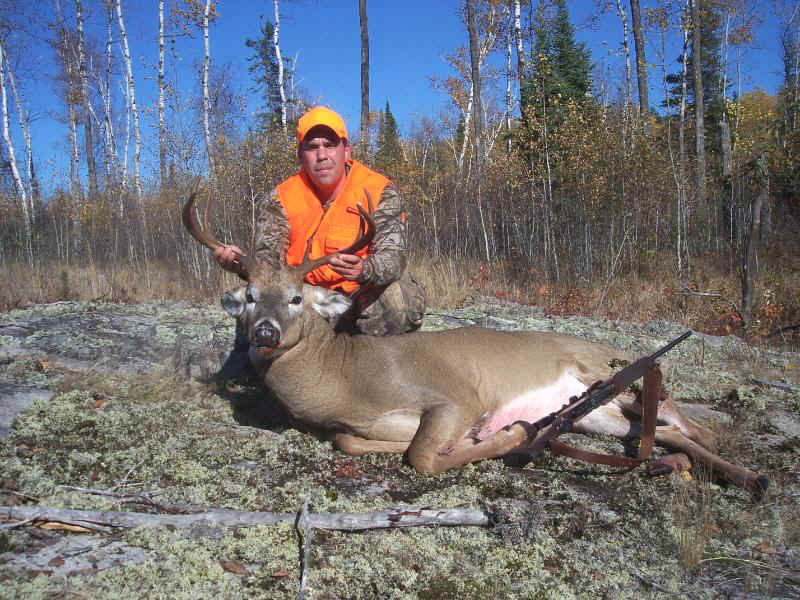 The Minaki area is mostly crown land which is open to public hunting. 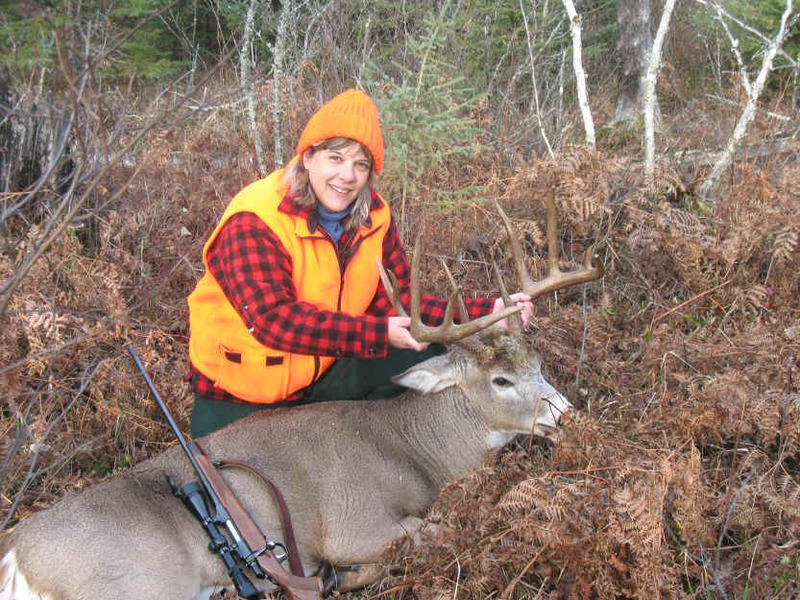 People can hunt clear cuts, open ridges, swamp land and power lines on their own. The only cost is the license and cabin rental of $50.00 a day when hunting from Paradise Cove. Licenses are approximately $225.00 and they can be purchased over the counter. An export permit, costs about $35.00, is required if a person bags their buck. Paradise Cove also has to offer baited ground blinds that are rented for $120.00 a day with a 2 day minimum. We begin feeding the deer 3 weeks ahead of season and get the deer coming to the ground blind area which are watched by our trail cameras. We usually have 20 sites available. We will take you to the blinds on your day of arrival to show you the location and you can come and go as you please after that. Some blinds are close enough together for radio communication between friends. Party hunting is also allowed if you bag your buck early. A person can help his friend bag there buck as long as they are in radio or cell phone communication. Our deer season is open from the 1st Saturday in October until November 15th. The rut usually happens around the 20th of October. We also have a large building to hang and process your deer. There is also a freezer for your deer meat. We have great grouse hunting and the fishing is good at that time also. Make sure you have your cabins booked well in advance because they fill up fast.